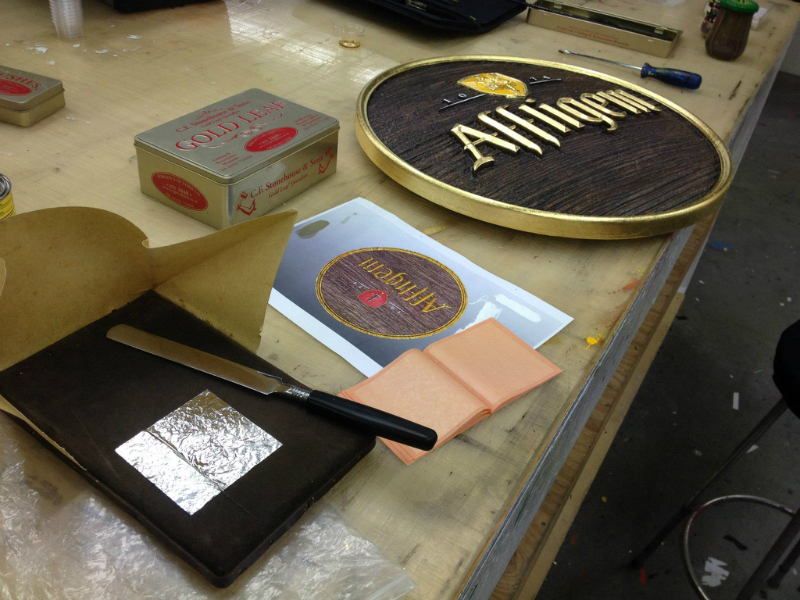 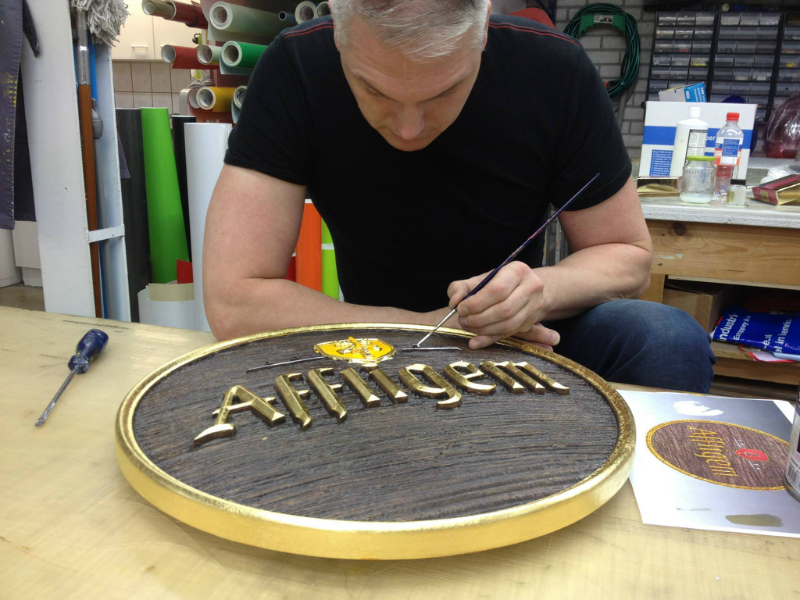 In this news item I will show how we convert the flat Affligem beer logo into a 3D design which we later mill into a 3D sign. 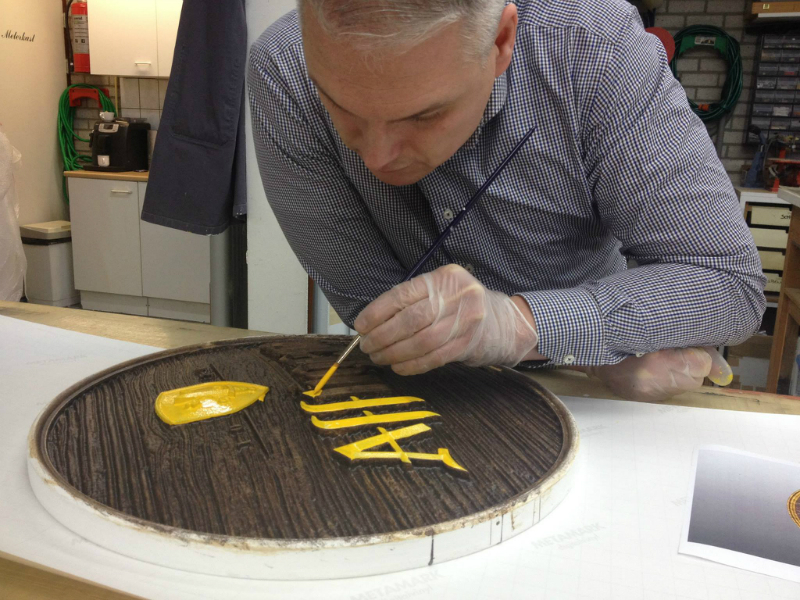 We prime this 3D sign, after which we paint it with different paint techniques and gild it with real gold leaf. 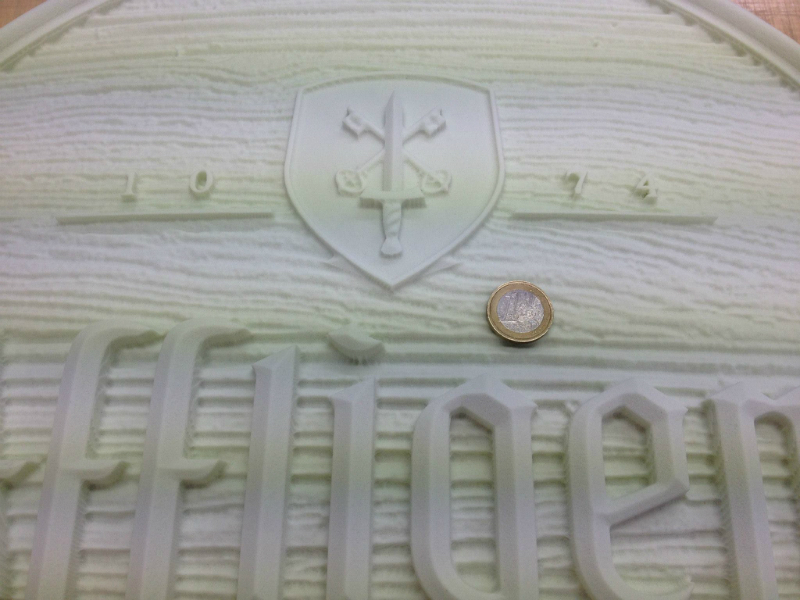 We make the panel from a very special foam that makes it possible to preserve all the small little details of the 3D design. 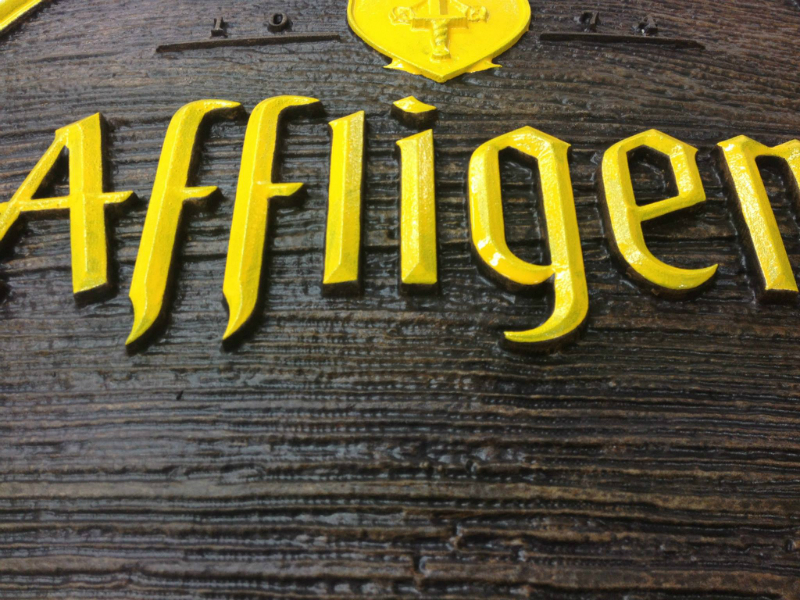 In contrast to wood, this material remains decennia in all weathers. 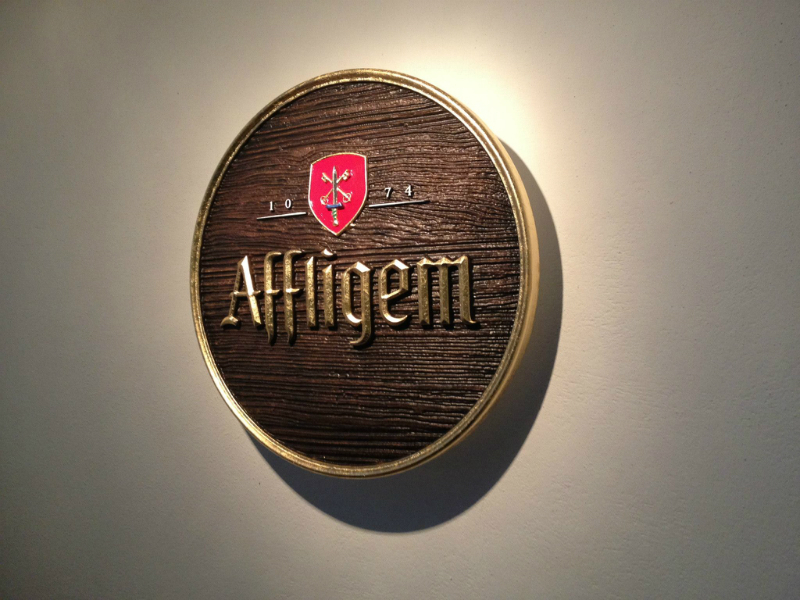 The 3D sign of Affligem beer was a business card of the Heineken brewery in the restaurant beer bar Vondelpark 3. 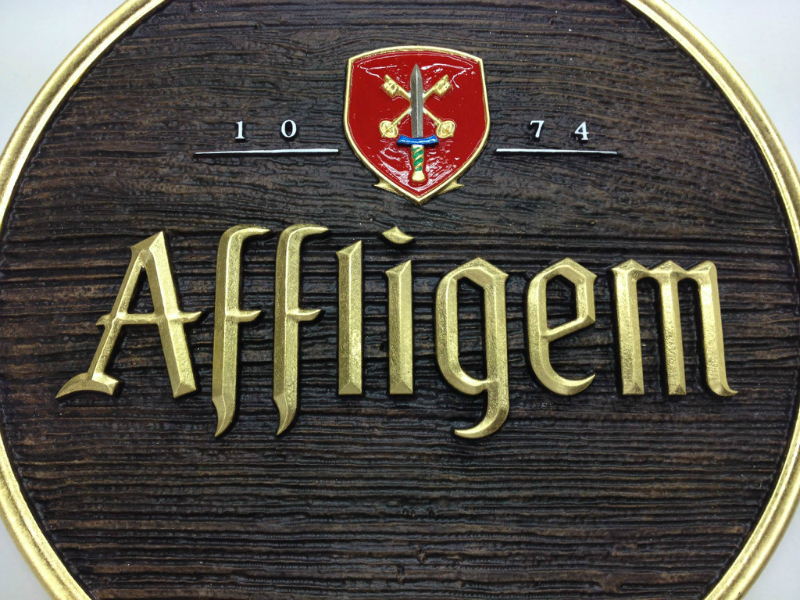 If you are interested to have a 3D sign made, please contact us. 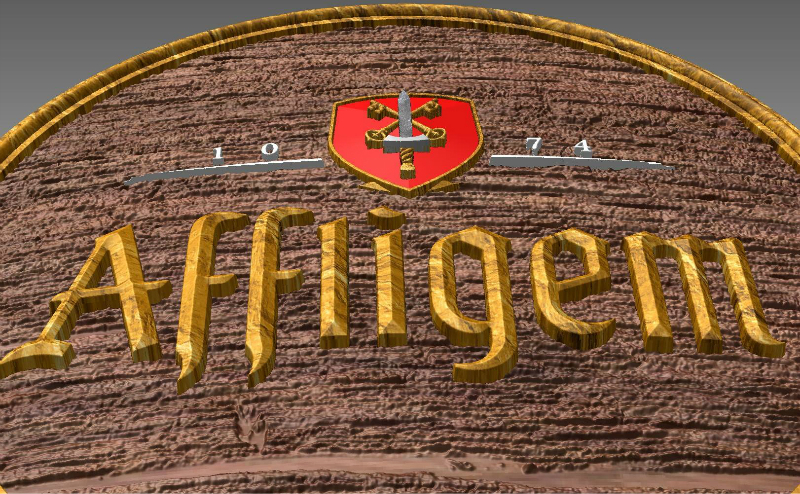 Click on the large picture to activate the photo slider.